Immunomodulatory drug of bacterial origin. It stimulates both the local cellular and humoral immune response in the mucous membrane of the respiratory tract and the systemic immune response. The drug stimulates the activity of alveolar macrophages, increases the number and activity of T-lymphocytes, activates peripheral monocytes, increases the concentration of secretory IgA on the mucous membranes of the respiratory tract and digestive tract, stimulates the production of protective adhesive molecules, reduces the concentration of IgE antibodies in the blood, also increases the production of cytokines. Reduces the frequency and severity of infections, thereby reducing the need for antibiotics. 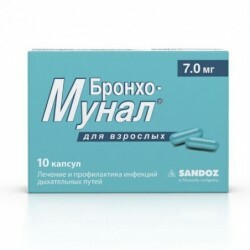 for the prevention of recurrent infections of the upper and lower respiratory tract (chronic bronchitis, tonsillitis, pharyngitis, laryngitis, rhinitis, sinusitis, otitis media). Excipients: propyl gallate (anhydrous), sodium glutamate (anhydrous), mannitol, magnesium stearate, pregelatinized starch, indigotin, titanium dioxide, gelatin. 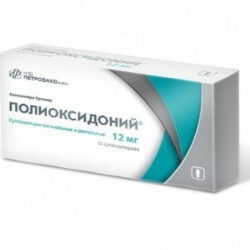 Adults and children over 12 years of age: Broncho-munal® is prescribed at a dose of 7 mg; Broncho-moon® P at a dose of 3.5 mg is prescribed to children aged from 6 months to 12 years. The drug is taken in the morning on an empty stomach for 1 caps / day. If the patient / child cannot swallow the capsule, it is recommended to open it, and dissolve the contents of the capsule in a small amount of liquid (tea, milk or juice). 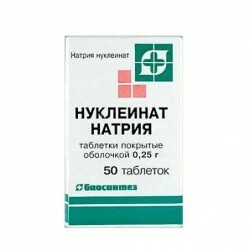 For the prevention of infectious diseases of the respiratory tract: the drug is used in three 10-day courses with 20-day intervals between them. 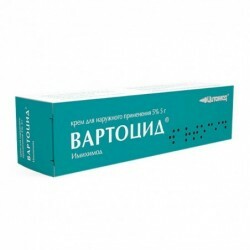 In the acute period of the disease: 1 caps / day is prescribed until the symptoms of the disease disappear, but not less than 10 days. In the next 2 months, prophylactic use of the drug in 1 caps is possible. for 10 days with a 20-day interval between courses. During the entire period of clinical use of the drug, undesirable effects were recorded extremely rarely. In some cases: violations of the digestive system (pain in the epigastrium, nausea, vomiting, diarrhea), fever. If side effects are mild, drug withdrawal is not required. When a hypersensitivity reaction occurs, drug withdrawal is recommended. The drug can be used simultaneously with other drugs, including antibiotics. The use of Broncho-moon® during pregnancy and lactation is possible only in the case when the intended benefit to the mother outweighs the potential risk to the fetus or infant. A 4-week interval should be observed between the use of oral vaccines and taking Broncho-moon. Do not recommend the use of the drug in acute intestinal diseases due to a possible reduction in the effectiveness of the drug. The drug is not prescribed to children under the age of 6 months. 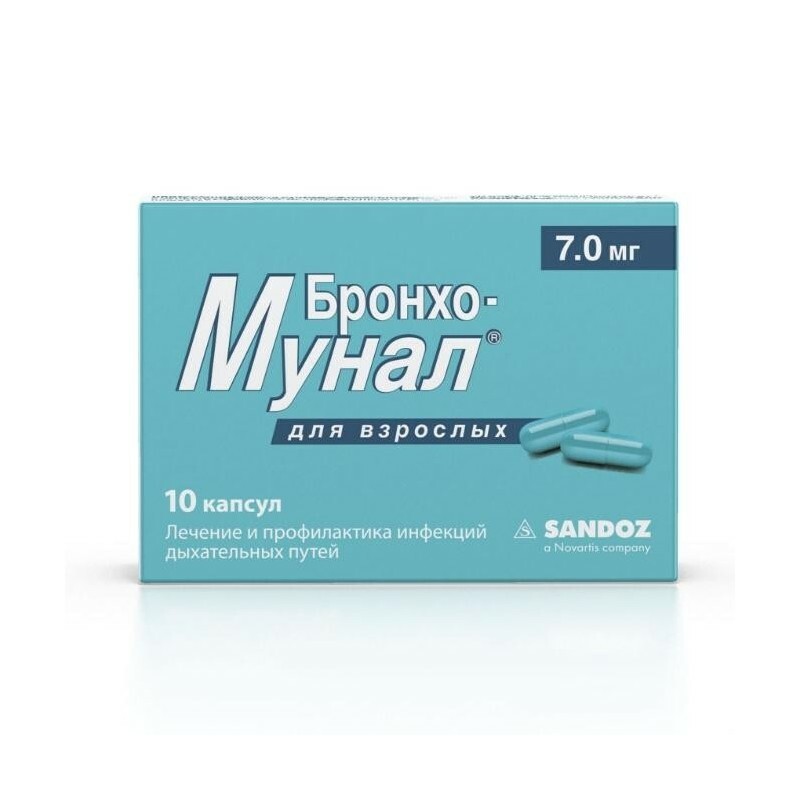 In order to avoid overdose, only Broncho-munal® P is prescribed to children from 6 months to 12 years (capsules containing 3.5 mg of lyophilisate). No clinical symptoms of overdose have been noted. There are no reports of intoxication due to overdose of the drug. Dosage form: Hard gelatin capsules, size No. 3, opaque, with a body and a blue cap; the contents of the capsules are light beige powder.